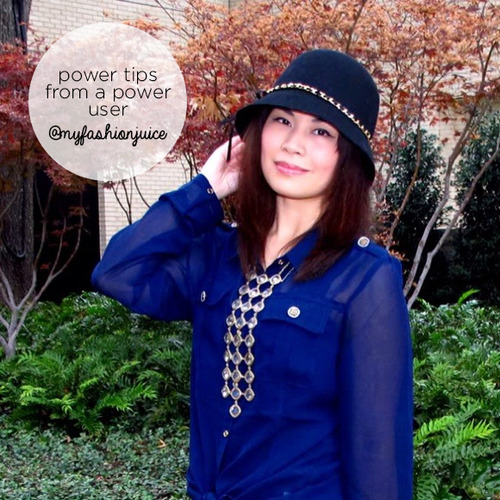 I’m Cris from the fashion and lifestyle blog, My Fashion Juice. On the Poshmark app, I’m known as @myfashionjuice. 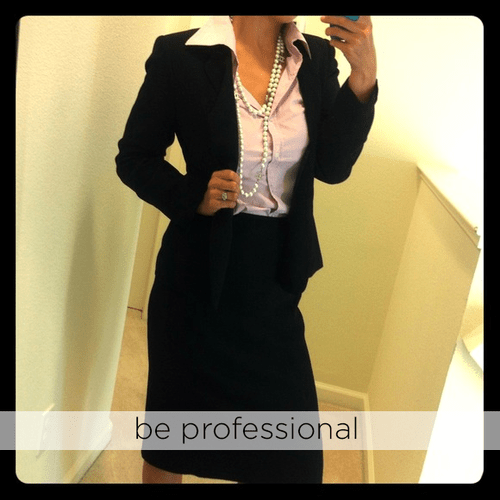 Today, I’m taking over Poshmark’s blog to share some tips to my fellow Poshers out there. As one of the Suggested Users and long time Poshers, I am constantly asked how I reached over 2 million followers and get a lot of sales. Your cover photo means everything. It’s the first thing that people see when they browse through their feed. Your cover photo shouldn’t just be attractive, it should stand out from the rest. Make sure your photos are clear and your items are well presented, with the right color. 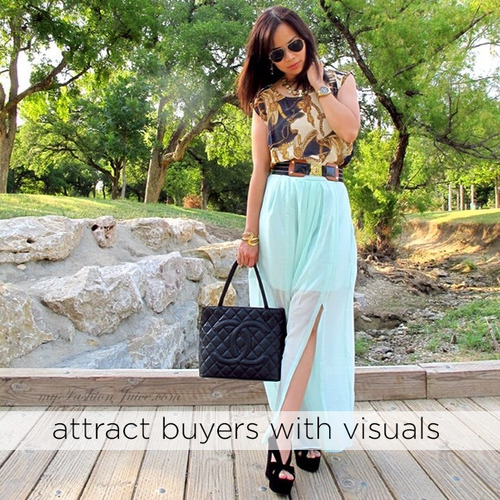 At the same time, add as many photos as you can to give your buyers a 360-view of the item. This gives buyers more confidence when shopping your closet and minimizes inquiries about how the back or side looks, etc. I’m always amazed with Poshers who get creative with their listing. Those closets that strike you most are obviously the ones you remember and visit every time. 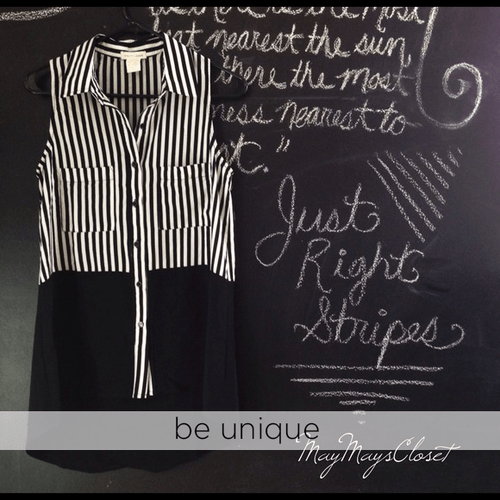 Take a cue from @maymayscloset who hangs her items against a chalkboard/wall and writes interesting phrases and/or descriptions about the item she’s listing. Extra points for her beautiful handwriting! I always tell my fellow Poshers to share their listings at least three times a day. Believe me, it’s effective. Sharing is like advertising. If you’re not sharing your items to your followers and to Posh Parties, then it’s like selling secretly in the dark corners of the web! How would they know what you’re selling if you’re not actively advertising? So remember to share regularly. It only takes 5 minutes or less during your break time! 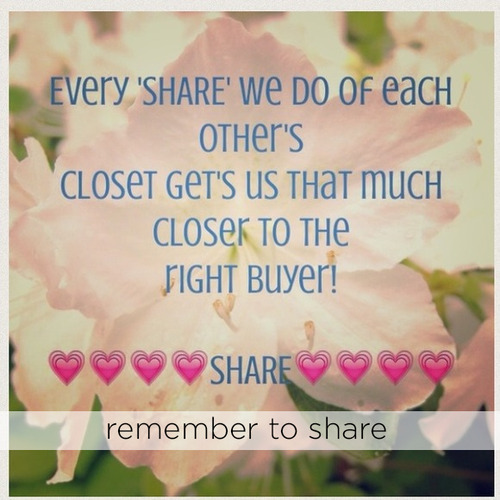 And when people share your items, listen to @tammyk289 and try to share back. I try to share at least 5 to 10 other people every time I’m on the app. Not only will they appreciate it, but they will remember you and share your items regularly. No matter what commenters or potential buyers say, even if it’s something negative about your listing, always keep your cool. Be nice and be professional when responding to all inquiries. At the same time, respond to comments in a timely manner and always ship out your sold items on time. Follow these tips and sooner or later, you’ll find yourself with a growing number of followers and sales. And make sure to join me tonight as I host the “City Chic” Posh Party! Hope to see you there! Next Post App Update: Saved Search & Sharing Listings on Instagram! how do I create all those nifty little signs and sayings people have on their Posh page? I hate swiping them…. Hi Elizabeth, some people design covershots with the help of design apps or via design programs.